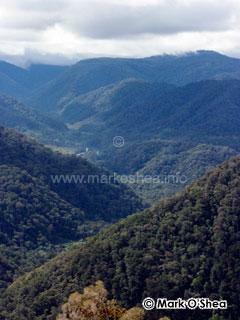 Prologue: There are five highlands provinces in Papua New Guinea, the largest being Southern Highlands Province. 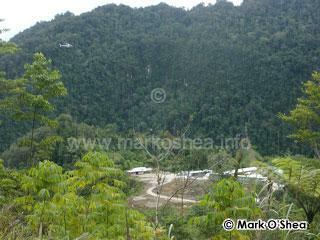 I first visited in 2000 whilst filming part of an episode of O’Shea’s Big Adventure in Tari. 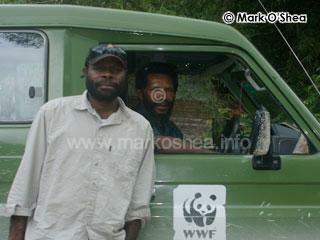 In 2008 David Williams and I were traveling up to Moro on the northern shore of Lake Kutubu to conduct an herpetological survey for Oil Search Limited and the World Wildlife Fund. Our aim was to initiate a survey of the only fully protected snake in Papua New Guinea, the Boelen's python, Morelia boeleni, known locally as papa graun moran (father ground python). 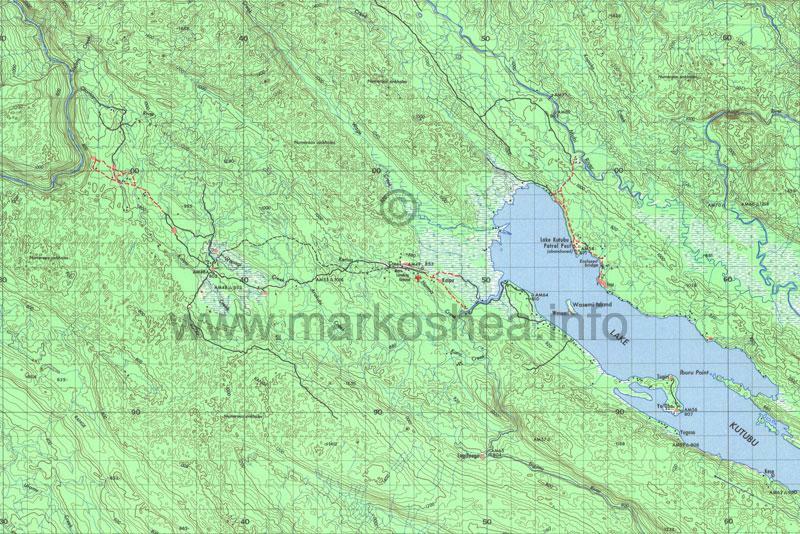 Note: a fuller acount of this 2008 expedition is now available by clicking this link. 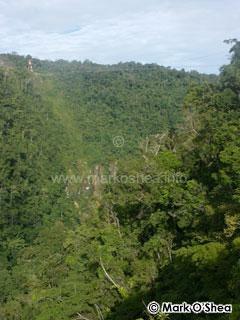 There are five highlands provinces in Papua New Guinea, the largest being Southern Highlands Province. I first visited in 2000 whilst filming part of an episode of O’Shea’s Big Adventure in Tari. In 2008 David Williams and I were traveling up to Moro on the northern shore of Lake Kutubu to conduct an herpetological survey for a large oil and natural gas production company, and the World Wildlife Fund. Our aim was to initiate a survey of the only fully protected snake in Papua New Guinea, the Boelen's python, Morelia boeleni, known locally as papa graun moran (father ground python). 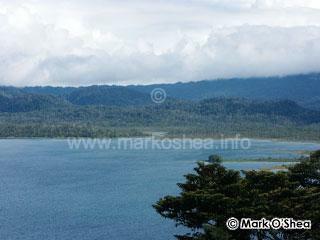 the town at the northwestern end of Lake Kutubu, SHP. most of which lies >1200m above sea-level. 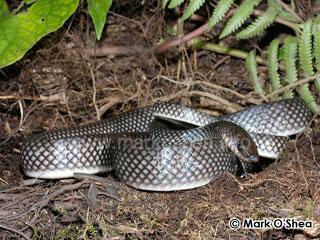 The Boelen's python is a large (2.0-3.0m), rare montane species from the central New Guinea Highlands between 1,000-2,000m. Population densities are likely to be low and the species may easily be threatened by over-collecting, hunting for food or habitat destruction. 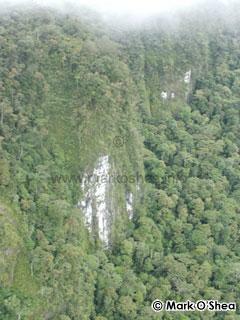 It is completely protected within Papua New Guinea, it may not even be possessed in whole or part by a non-National. David and I were invited to conduct the initial stages of this survey in an attempt to determine whether drilling and prospecting operations were an additional threat to its survival in Southern Highlands Province. The initial survey took place between 14th to 22nd May, 2008. 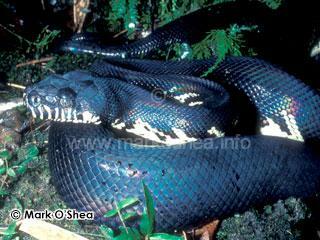 Boelen's python, Morelia boeleni, the only fully protected reptile in Papua New Guinea. 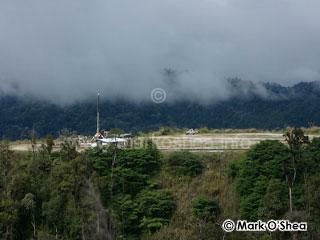 We flew into the town of Moro, on the northern shore of Lake Kutubu, on a Oil Search charter flight from Port Moresby. As it was my first visit to this oil and gas company's instalations there were several inductions to go through relating to health and safety on drill sites, well-heads and roads. Lake Kutubu is located below the altitude of the Boelen's python so, together with WWF-Moro representative Felix Kinginapi and driver Philip Kayabe, we headed to the oil and gas production facilities, drill-heads and camps located to the northwest at Ridge, Agogo, Moran and Hegegio. We planned to use helicopters to reach more remote camps along the pipeline where pythons had previously been sited but where no other form of access was possible due to the inpenetrable and precipitous landscape. We also needed cold weather clothes, the climate up here was quie different from that in the coastal provinces - New Guinea may be tropical but there is snow on some of the higher peaks and cold fogs and rain are common-place. Looking northeast from Moran to Paua. A habitat of steep karst limestone. 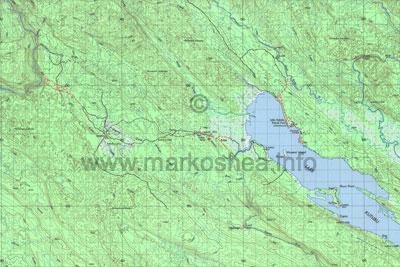 The habitat consists of steep gorges with fast-flowing rivers flowing through a densely overgrown karst limestone landscape. Many of the drill-heads and camps are so remote and isolated that they are inaccessible by any other means than helicopter. often the weather cuts them off from the outside world for days, even weeks on end. 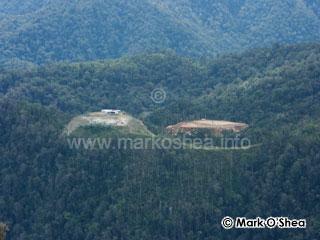 Isolated oil drill sites on hill tops near NW Moran. The pipelines run for miles and miles. Oil and gas are transported back to the production facilities by an extensive network of pipelines which snake through forests, along ridges and across gorges. I attempted to walk two of the pipelines. 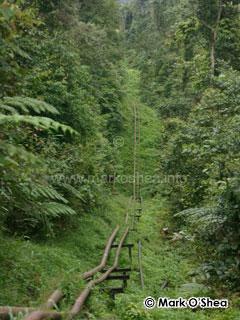 The one shown above was accessible but a second one required me to walk or crawl along the actual pipe as it ran through dense vegetation and over irregular terrain. during a break in the cloud-cover. We did manage to make a few helicopter flights but cross-winds or dense vegetation prevented us landing at the planned locations northwest of the Hegegio River. So our search for Boelen's pythons was unsuccessful, largely because we were unable to reach some of the most promising locations. Heavy rain, low cloud and high winds, combined with the landing zones being overgrown by jungle, made even access by helicopter impossible. 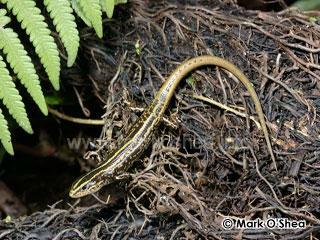 Highlands four-fingered skink, Carlia sp. (i) The abbreviation cf. 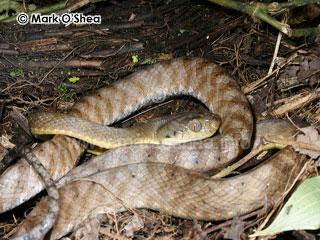 indicates "compare with" and is used for an undescribed species which resembles a described species. thought to represent a new species. from Moran, possibly a new species. possibly a new species from Mano. 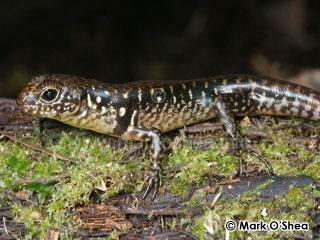 The Papuan highland skink, Papuascincus sp.nov., was found on two drill-sites at North-West Moran and Moran 4X on opposite sides of a deep valley. 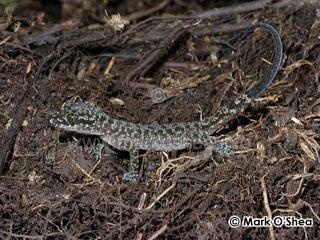 This genus contains only three known species and these specimens were closest to the Moroka skink, yet sufficiently different to belong to a new species. 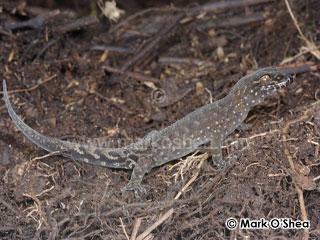 Two species of forest skinks, Sphenomorphus, were collected, both resembling described species but both also possibly representing new species. The specimen shown, Sphenomorphus cf. 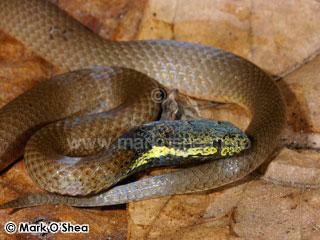 annectans, (above) ran onto the road, unusual behaviour for the genus, on the Moran ridge. The other species, Sphenomorphus cf. papuae, was found under derbris at two different locations. Other skinks included a Papuan Peninsula litter skink, Carlia curta, the Highlands four-fingered skink, Carlia sp., which has not been defined to species, and a female Brown sheen skink, Eugongylus rufescens, under rocks on the helicopter pad at Hegegio Camp. On a side-trip to lower habitats near the village of Mano several species were collected under roads-side debris including a male brown sheen skink, and several geckos. Initially the two shown above were thought to represent the same species, Nactus cf. pelagicus, but closer examination determined that one belonged to the genus Cyrtodactylus and was closest to the northern Papuan bent-toed gecko C.papuensis. Aspidomorphus muelleri, a gravid female. The only snakes encountered were the ubiquitous Brown treesnake, Boiga irregularis, on the road at night, a large reticulate-patterned Slatey-grey snake, Stegonotus cucullatus, in a production facility junkyard, and one elapid, a gravid female Müller's crowned snake, Aspidomorphus muelleri. This last was found on the Hegegio helicopter pad. We returned to Port Moresby on the oil and gas company charter, planning a return to the Lake Kutubu-Moro region for Boelen's pythons at later date. David was to fly to Jakarta in a few days to present a paper we had been prepared, on snakebite in the Asia-Pacific region, at a WHO conference, while I was due to visit West New Britain.